AM 3/c Vane B. Weatherman, son of Mr. and Mrs. L. C. Weatherman, attended school in Apache and Dallas. 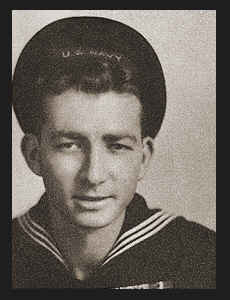 Entered Navy in June, 1944, trained in Camp Wallace, Texas and Camp Elliott, San Diego, Cal. ; Served in Japan, the Philippines, Guam and the Hawaiians; is now on duty aboard the Ticonderoga. Awarded Asiatic Pacific Ribbon with eight Battle Stars.